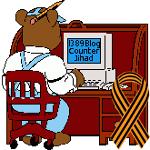 Islamic State (ISIS/ISIL) spreading into Egypt and Libya — 1389 Blog - Counterjihad! In its war to create a caliphate across Syria and Iraq, the Islamic State is opening a front in North Africa, where affiliated militants are wreaking havoc in eastern Libya and Egypt’s Sinai Peninsula — presenting a complex challenge for Washington and its allies in the region. Through its savvy use of social media and slick production of recruitment videos, the Islamic State — also known by the acronyms ISIS and ISIL — is attracting a growing number of individual jihadis to its harsh interpretation of Islamic, or Shariah, law. “ISIL’s stated goal of expanding its caliphate and its adherence to a strict form of Shariah has definitely resonated with a collection of extremists across North Africa, who appear to be mimicking ISIL’s rhetoric and brutality,” said a U.S. intelligence official who spoke on the condition of anonymity in order to discuss security issues freely. What remains to be seen is whether the region will face a surge of unbridled Islamic State-style violence, including beheadings. Counterterrorism analysts say there is little doubt of that — especially in Libya, where the government is under threat of being overrun by militants, and in Egypt, where the military has struggled to contain Sinai extremists for years. “I don’t think there’s any doubt that the Islamic State is going to commit and claim responsibility for an increasing number of attacks in North Africa, both in Libya and in the Sinai during the year ahead,” said Thomas Joscelyn, a senior fellow at the Foundation for Defense of Democracies in Washington. The U.S. intelligence community regards the Islamic State as the world’s most violent terrorist organization, and officials say its leader, Abu Bakr al-Baghdadi, sees himself as a kind of Osama bin Laden figure. But Mr. Joscelyn, who writes about the Islamic State for the Long War Journal, says al-Baghdadi has had limited success in persuading jihadi groups around the world to abandon bin Laden’s core al Qaeda movement and join his caliphate. Where the group has had success is among young jihadists seeking to distinguish themselves from their elders by declaring “baya,” or pledging allegiance, to al-Baghdadi. That seems to be occurring most often in eastern Libya and the Sinai Peninsula in Egypt. Early this month, a group of militants claiming to control the Libyan town of Darna — long a hotbed of al Qaeda-inspired extremism between Benghazi and Libya’s border with Egypt — declared allegiance to al-Baghdadi. The militants were reportedly from the local Islamic Youth Shura Council, an extremist outfit that established itself in Darna in March. Nonetheless, al-Baghdadi swiftly ordered one of his up-and-coming followers in Syria — a Yemeni with the nom de guerre Abu al-Baraa al-Azdi — to travel to Darna and serve as the Islamic State’s “emir” there. The development opened a front on the already chaotic landscape of jihadi groups vying for control of Libya. But U.S. intelligence officials say it is not clear whether the Islamic State will be able to carve out territory in the nation. With more seasoned Libyan militants resisting al-Baghdadi’s push for influence, analysts say, a development hundreds of miles to the east, in the Sinai, is likely to prove more significant to the Islamic State’s future. At about the time al-Baghdadi was receiving pledges from Darna, members of the Sinai extremist outfit Ansar Beit al-Maqdis were declaring allegiance to the Islamic State. How the group issued its declaration has prompted particular concern in Washington: Ansar Beit al-Maqdis circulated a 30-minute video that apparently was produced by the sophisticated digital propaganda arm of the Islamic State. Mr. Joscelyn said the Sinai group’s move suggests a heightened level of coordination with the Islamic State and represents the “most significant declaration of allegiance” that al-Baghdadi has been able to attract globally. There is uncertainty about how Ansar Beit al-Maqdis, whose senior members had been aligned with bin Laden’s al Qaeda, will represent the Islamic State inside Egypt. “It’s pretty clear there’s actually been a split within ABM on the issue of joining al-Baghdadi’s group,” Mr. Joscelyn said. Internal friction aside, regional news reports suggest the Islamic State is helping Ansar Beit al-Maqdis set up terrorist cells beyond the Sinai in Egypt’s heartland, raising concerns about Cairo’s ability to respond. Security in Egypt has been precarious since massive Arab Spring demonstrations drove dictator Hosni Mubarak from power in 2011. Jihadists in Sinai appeared relatively appeased during a brief period after the Muslim Brotherhood was elected to power in Cairo, but a subsequent coup that ousted the Islamists has fanned tension on the peninsula. Egyptian President Abdel Fattah el-Sisi, a former military leader, has tried to wage a bare-knuckled war against extremists, and some counterterrorism analysts believe he has been successful.